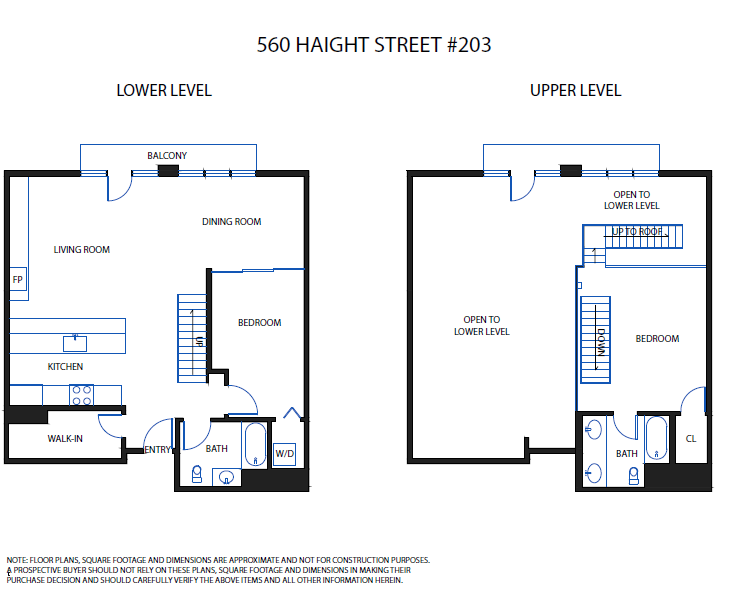 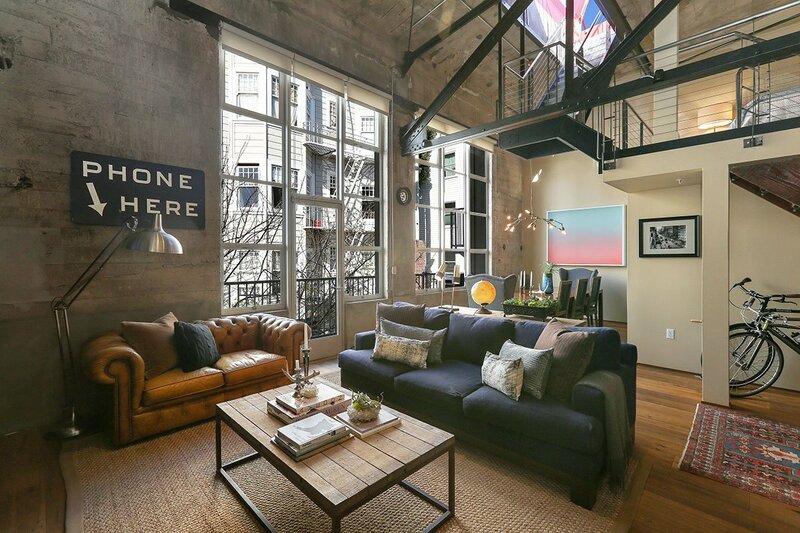 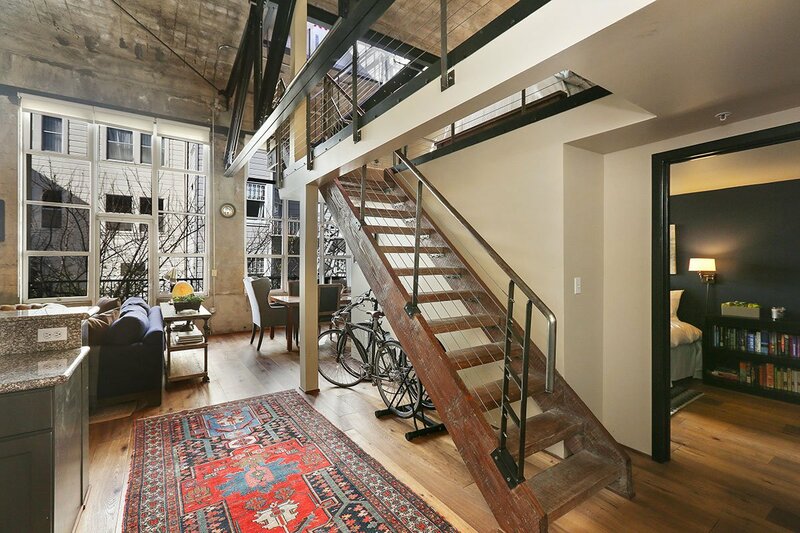 Loft 203 is a sophisticated New York – style space in one of the most sought after conversion buildings in the city. 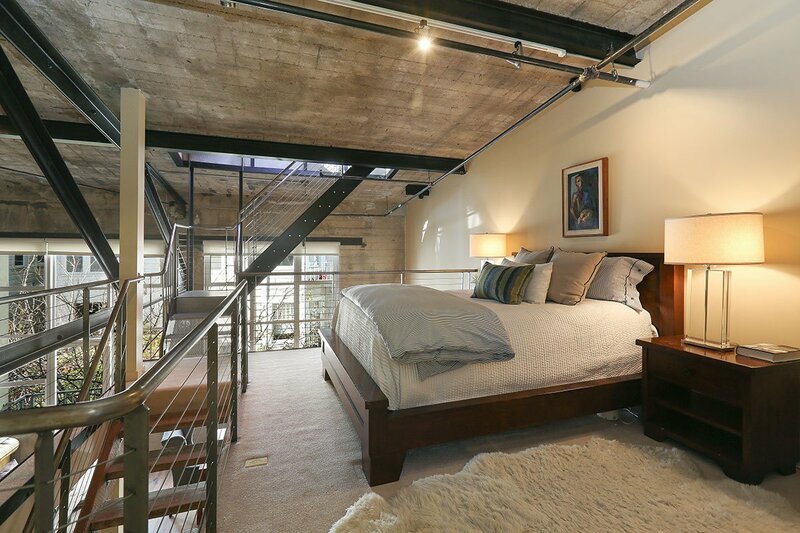 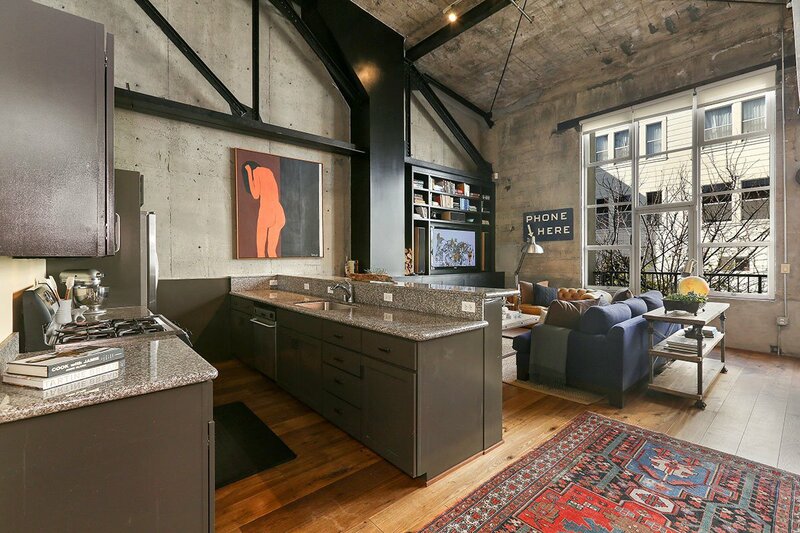 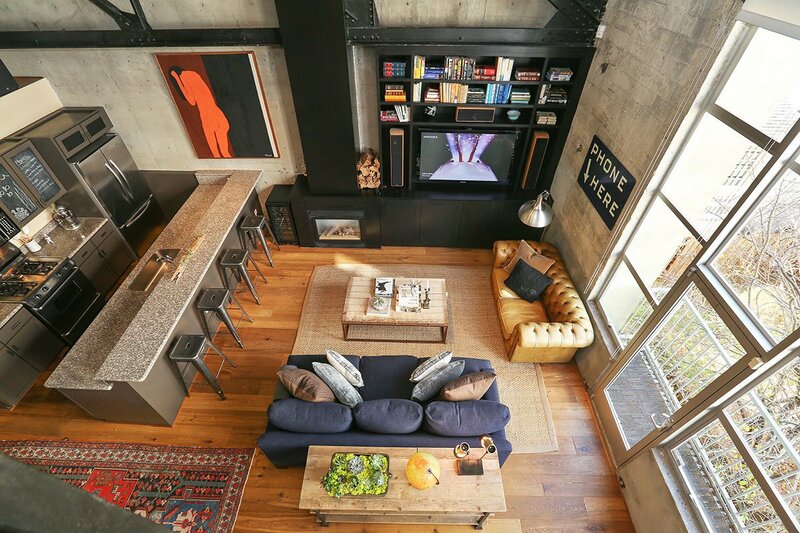 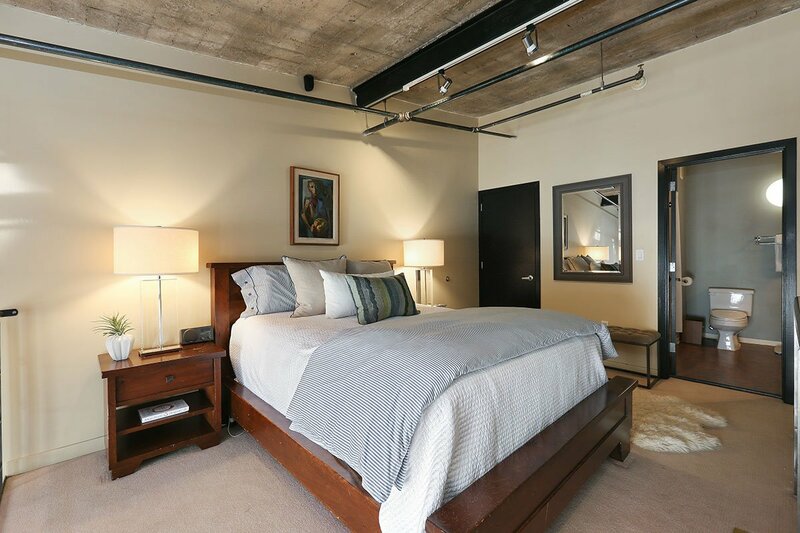 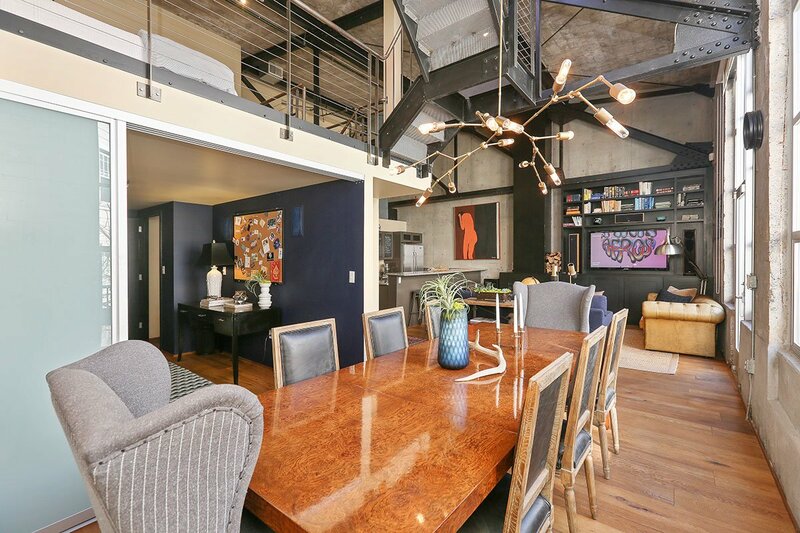 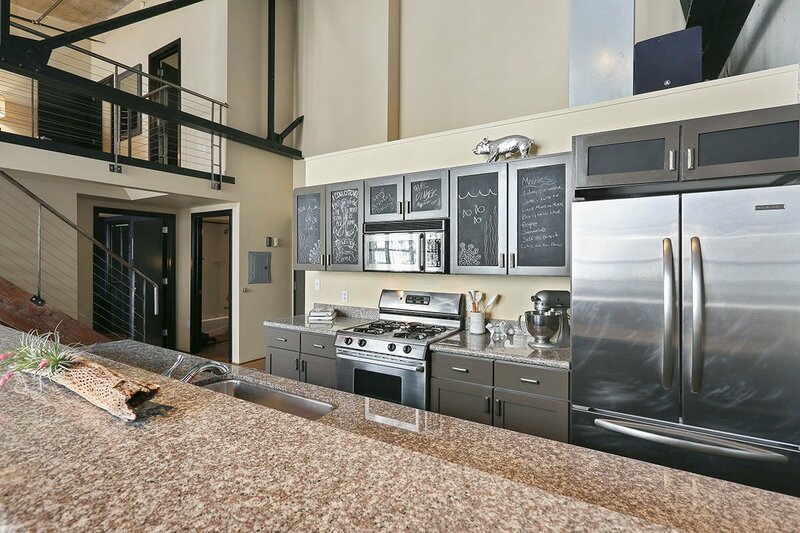 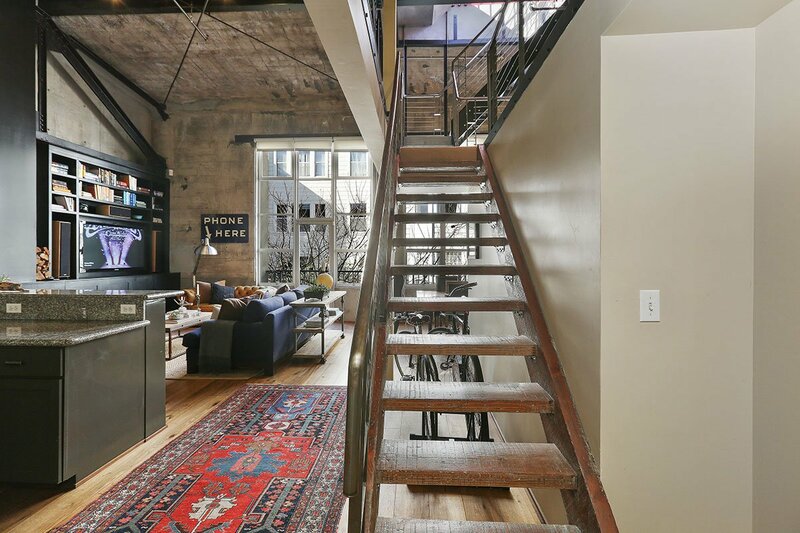 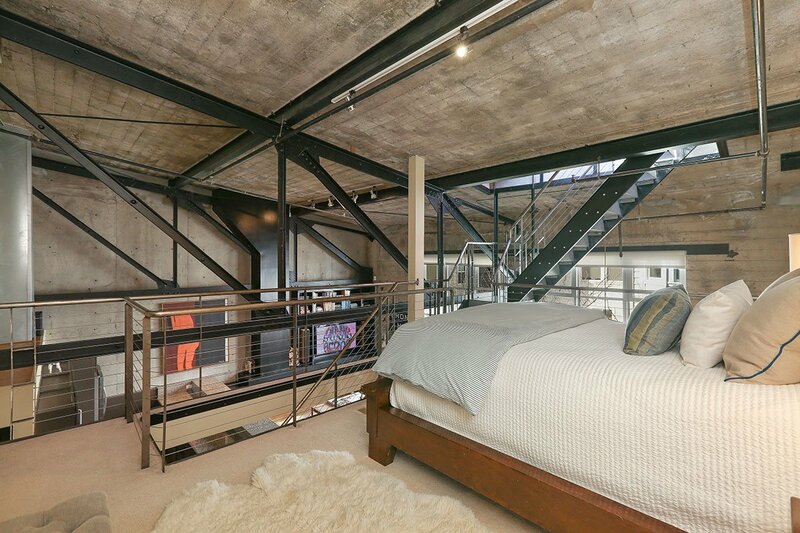 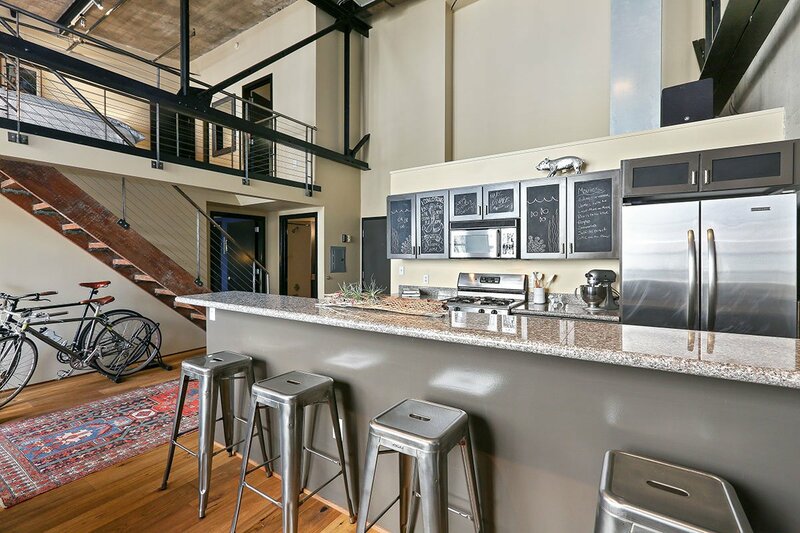 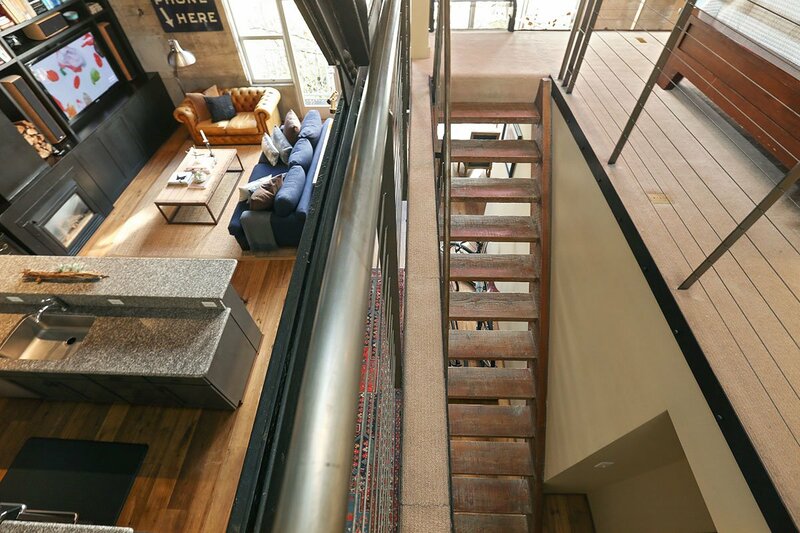 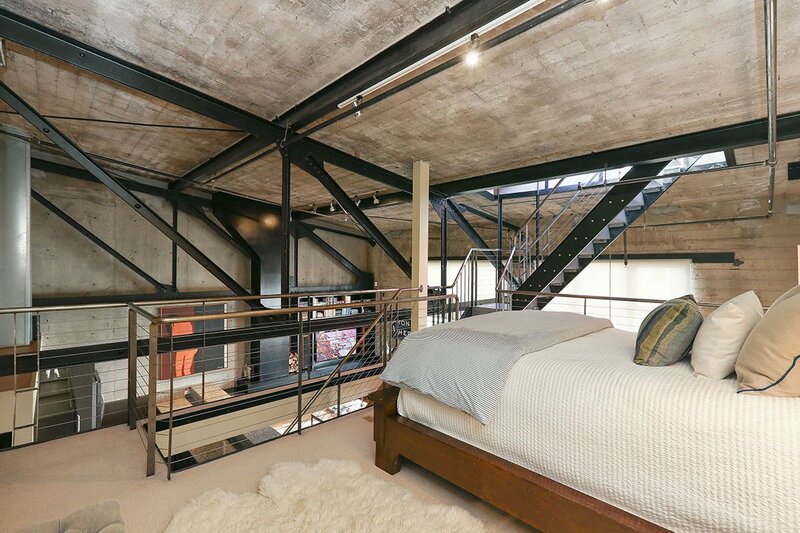 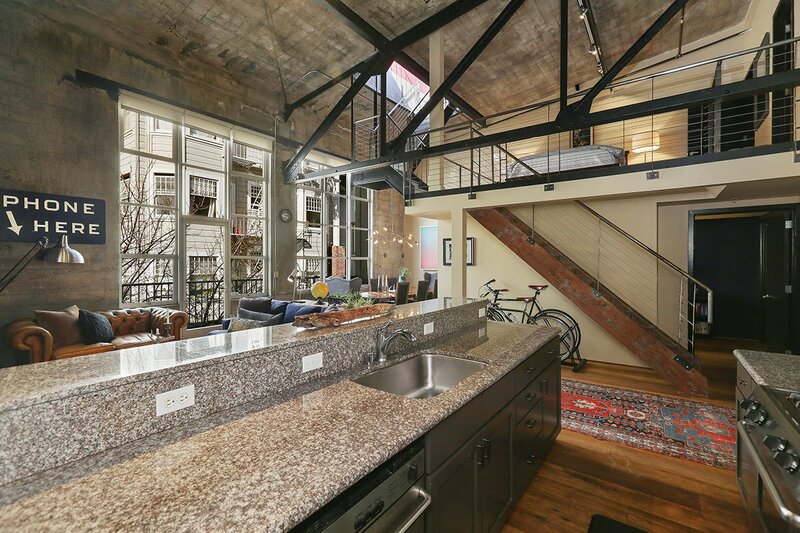 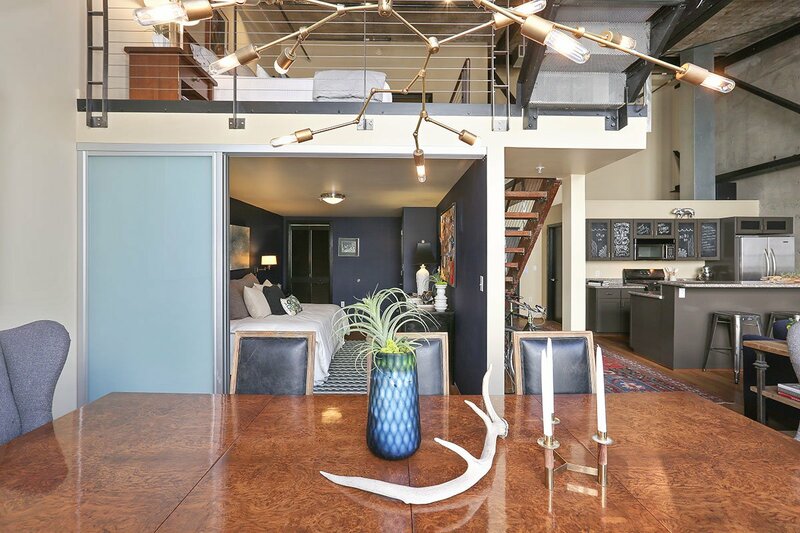 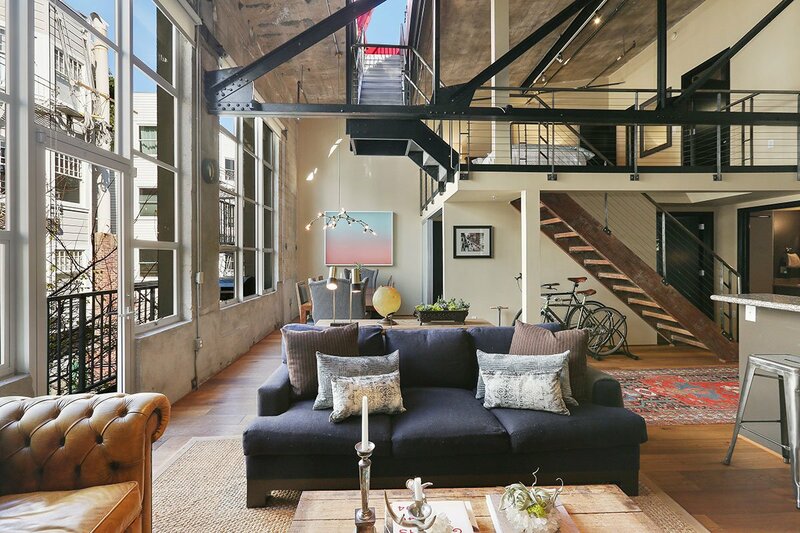 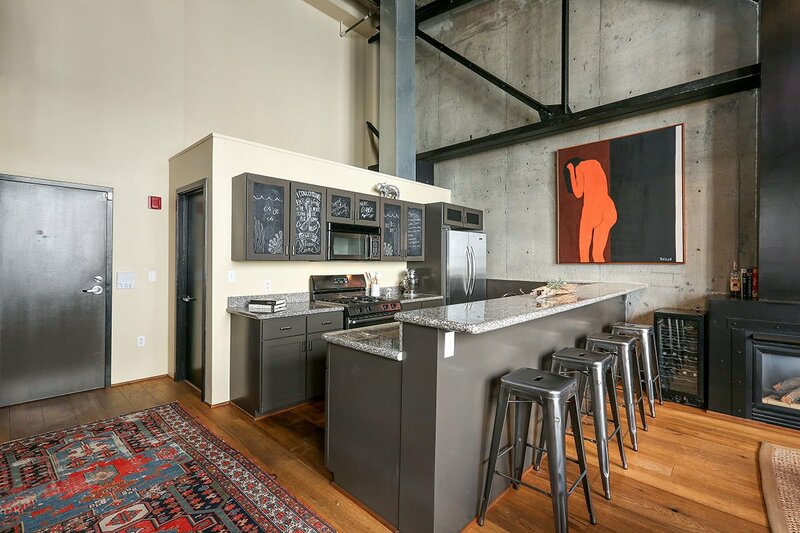 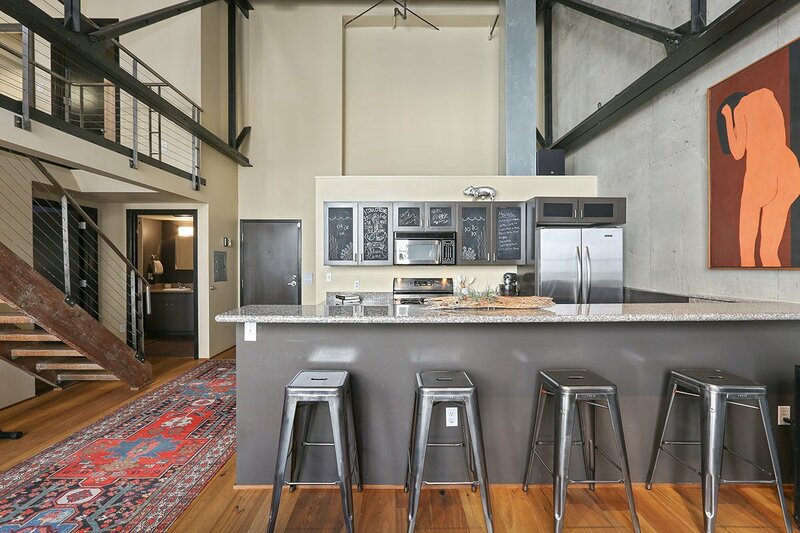 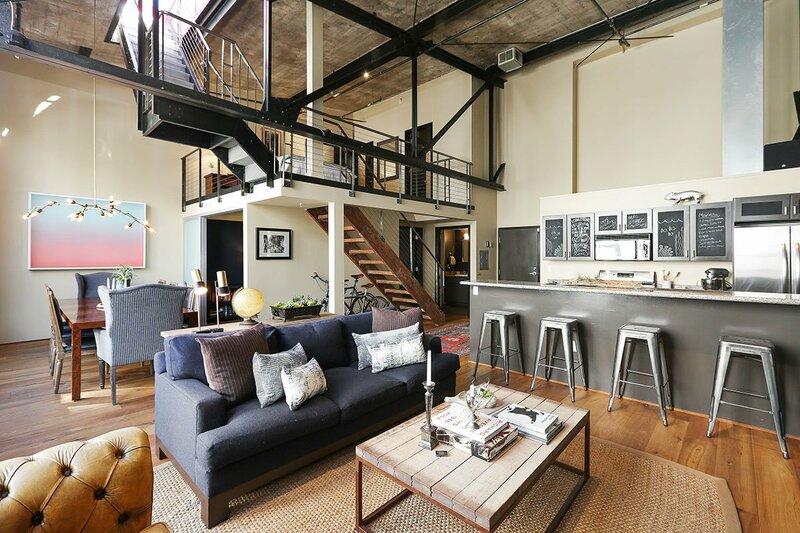 The loft design retains many original 1920 Riviera Palace industrial chic details, steel beams, vintage concrete and magnificent ceiling volume accented by double-height north facing windows. 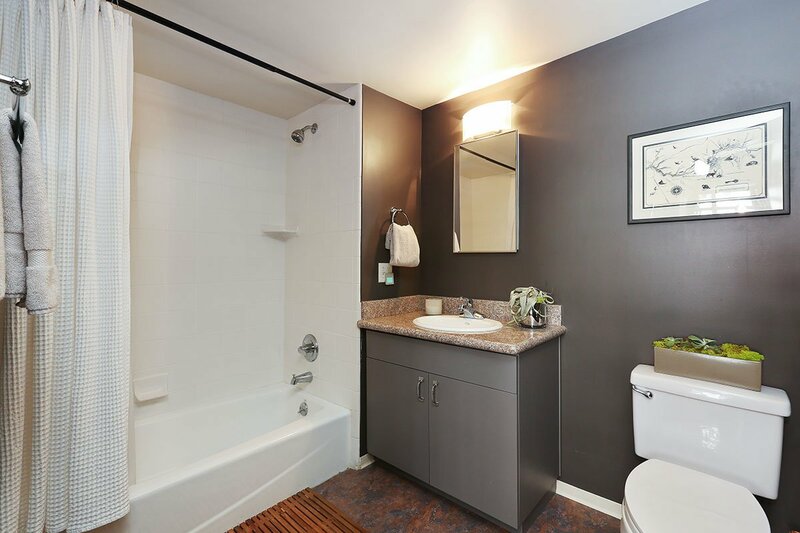 The current owners undertook design-quality renovations and installed wide-plank hardwood flooring, custom lighting, built out shelving plus a myriad of other thoughtful details. 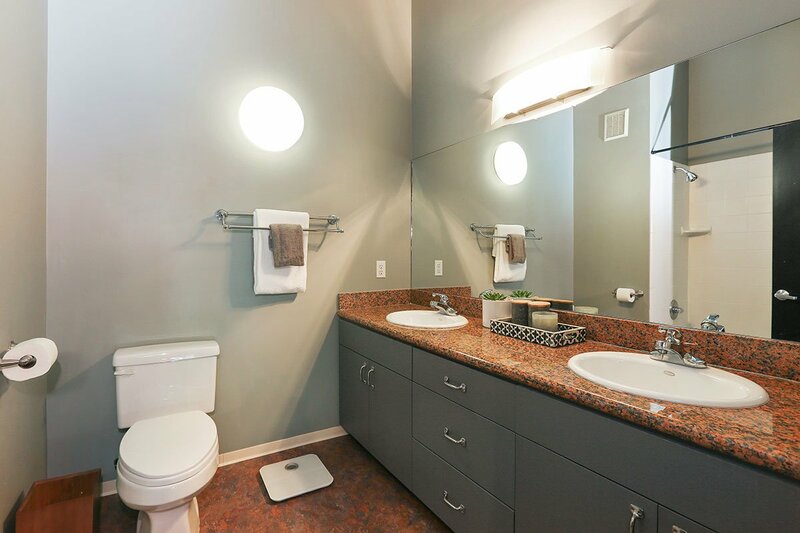 The master bedroom is open and has an en-suite bath with double sinks. 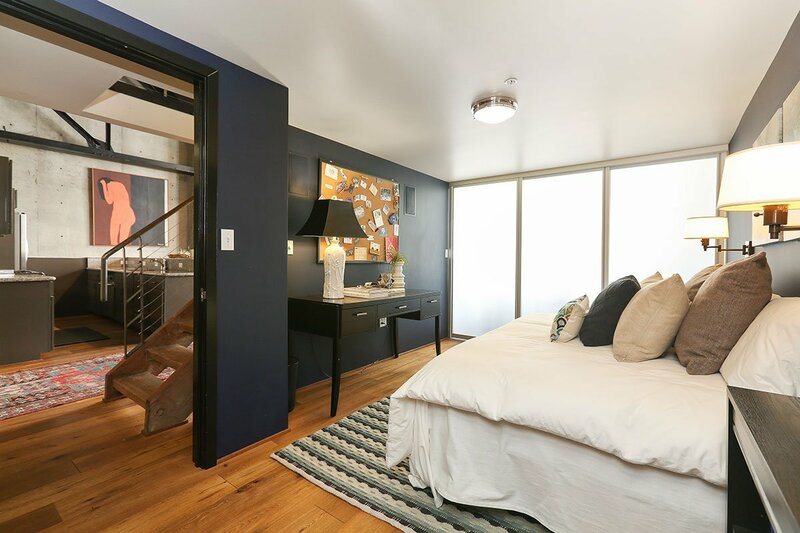 The downstairs bedroom is enclosed and has access to its own bath – offering versatility as an office and/or guest quarters. 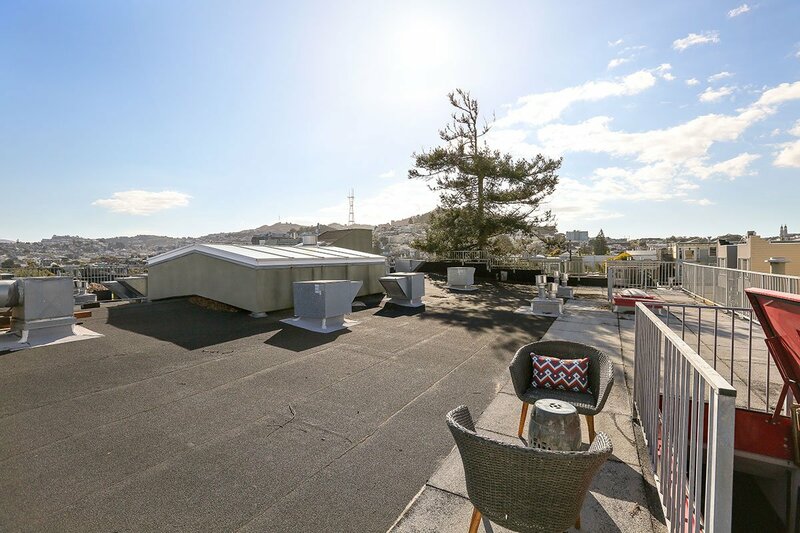 There is access to a private balconette from the main living level that is now home to a BBQ grill and a magnificent view roof top deck as well. 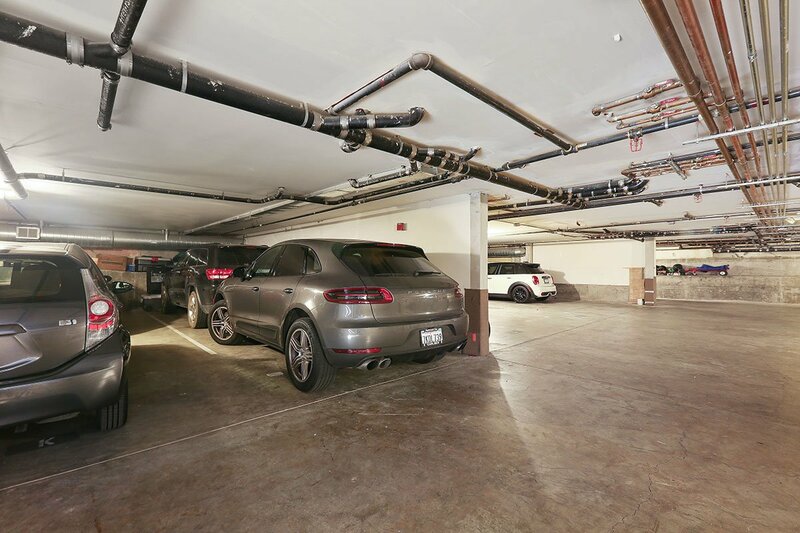 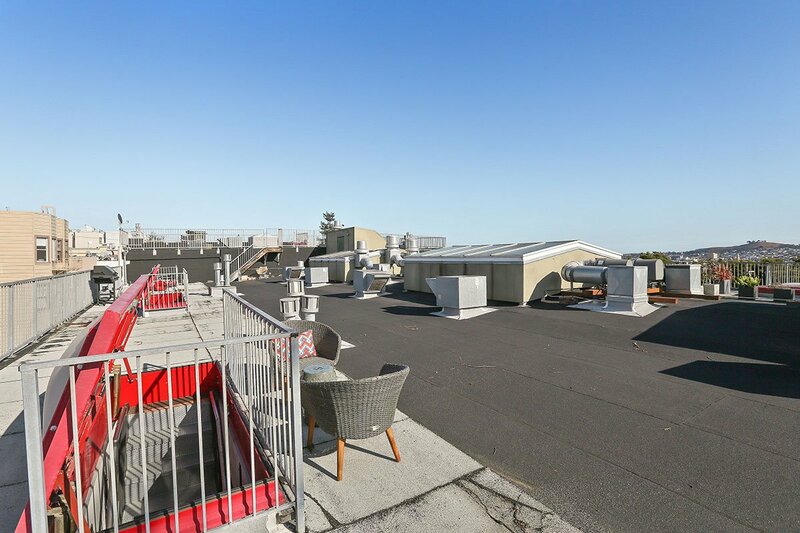 Coupled with two car tandem parking and exceptional storage this offering is hard to beat. 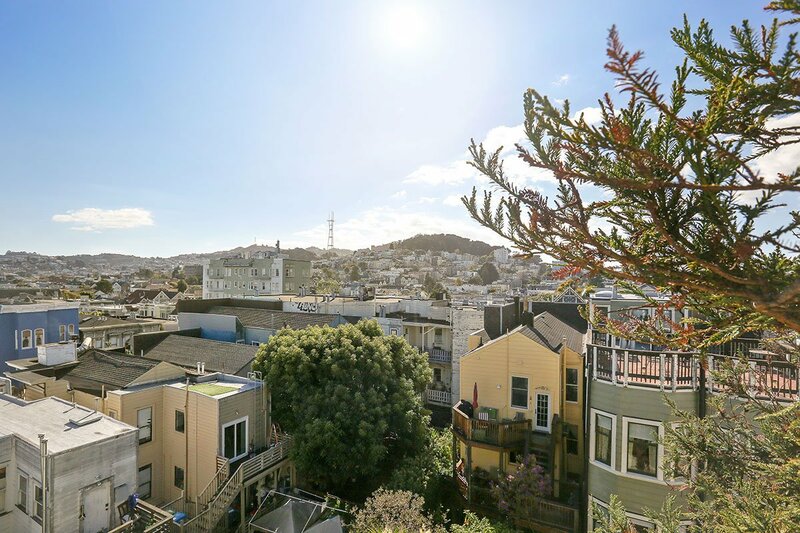 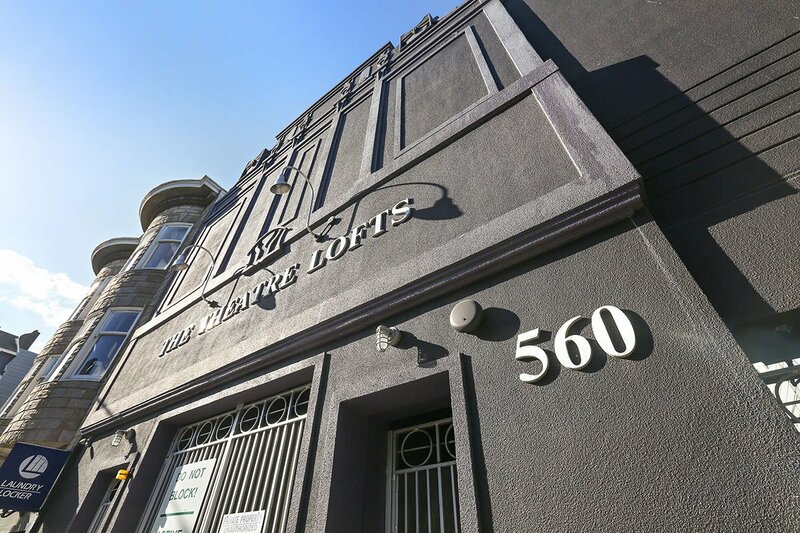 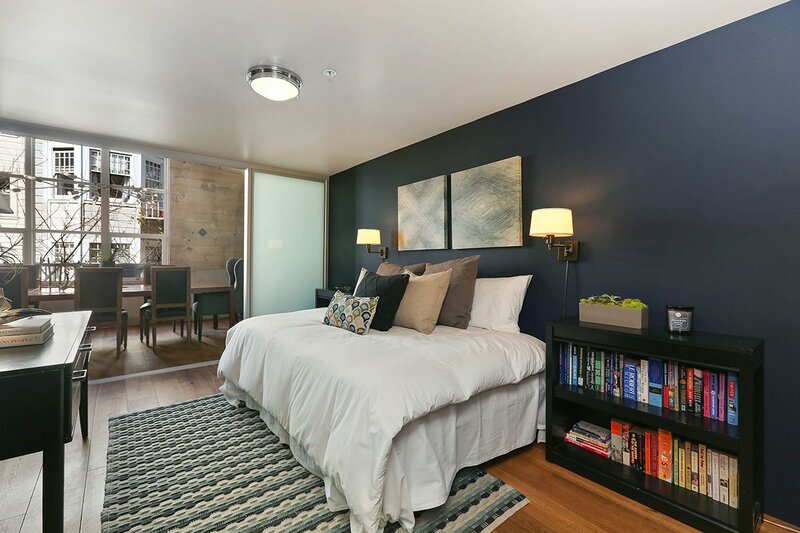 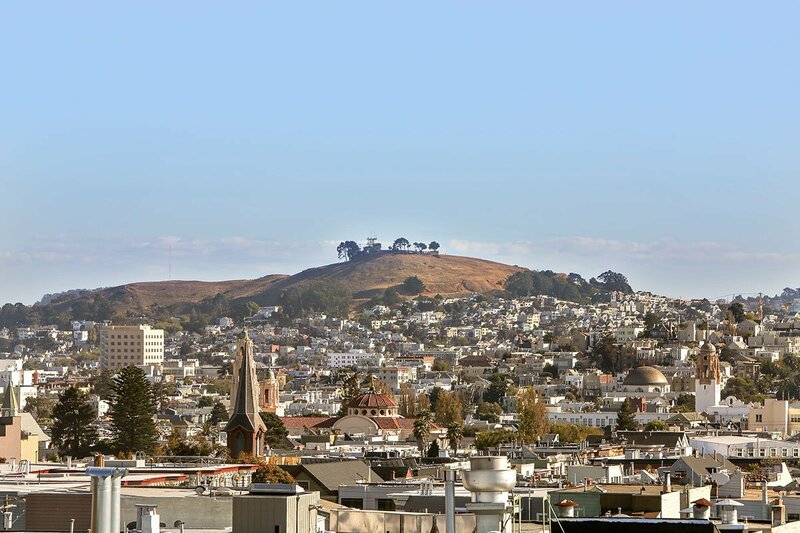 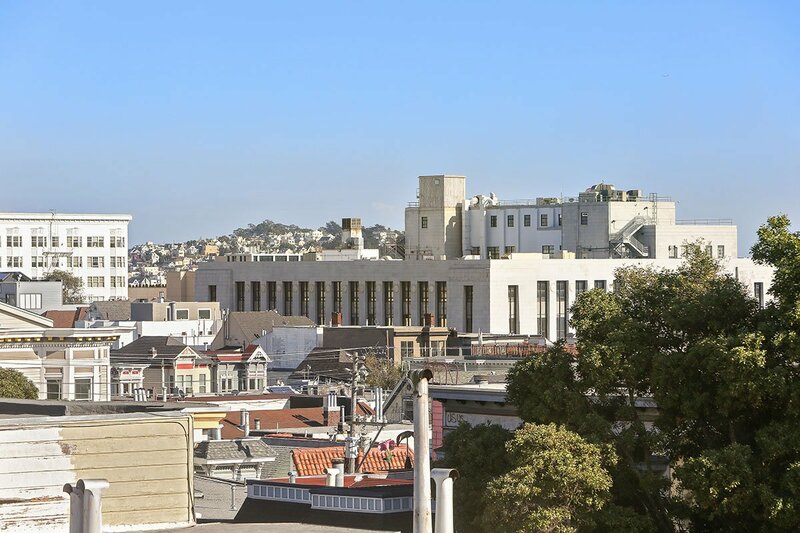 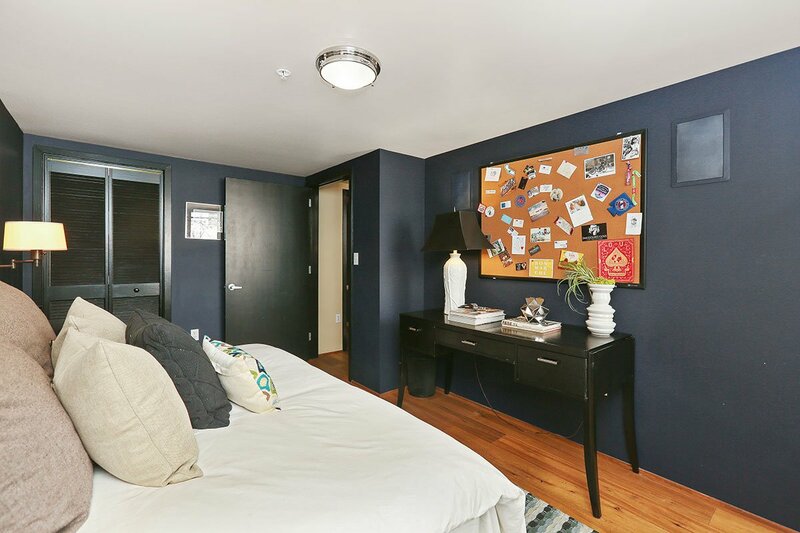 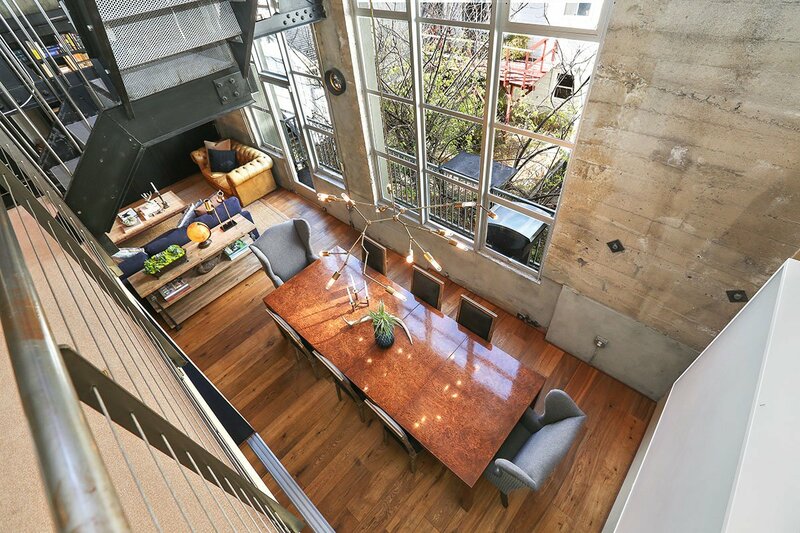 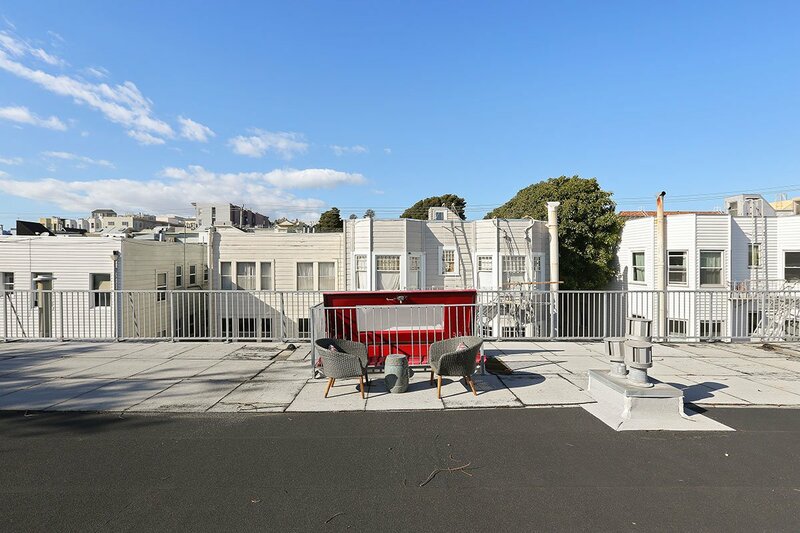 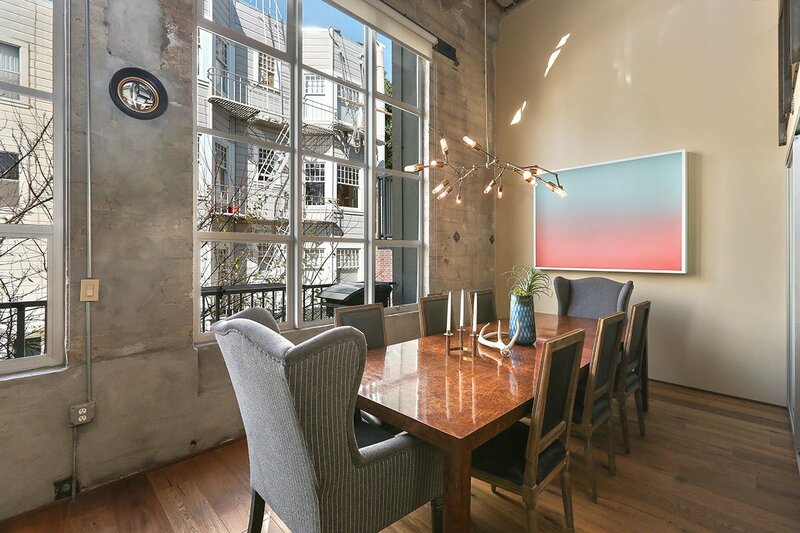 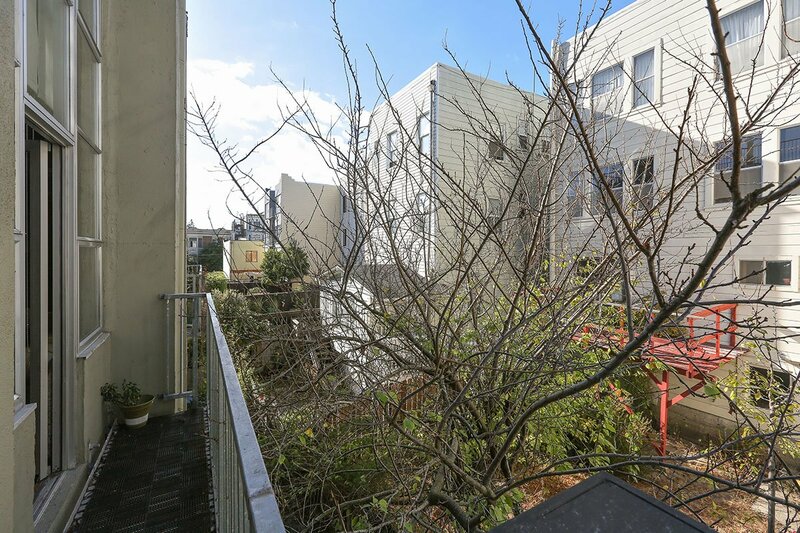 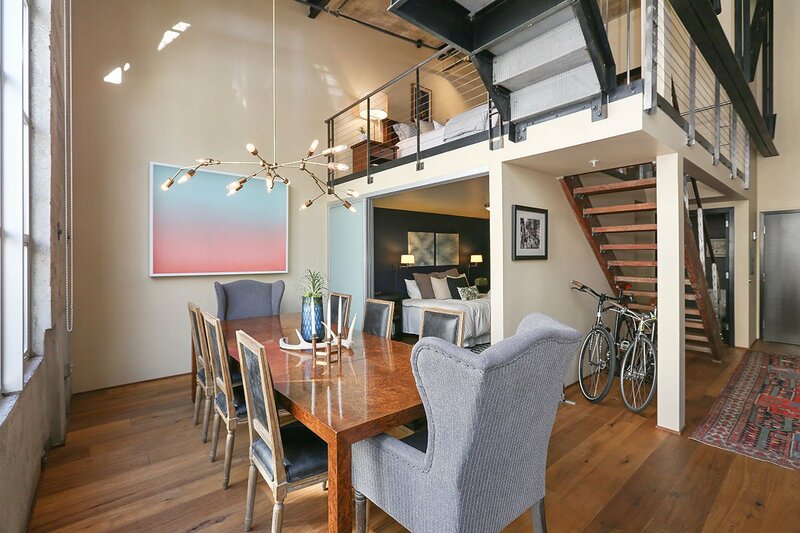 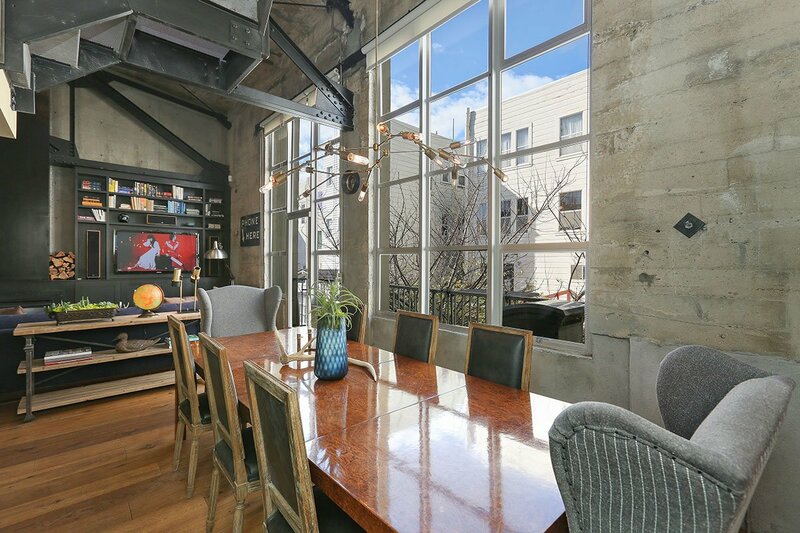 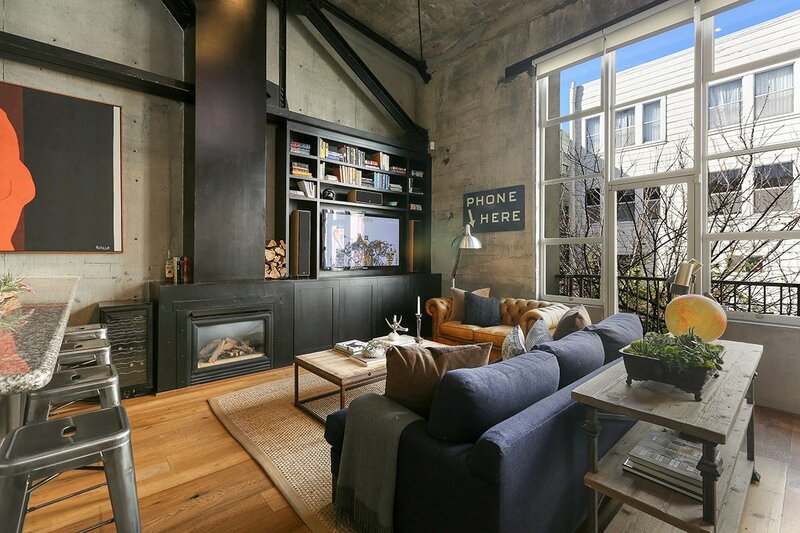 The sheltered off-street orientation of this penthouse unit makes for a truly peaceful environment in the midst of one of the most vibrant urban corridors, mere steps from the revered Duboce Park, restaurants and bars. 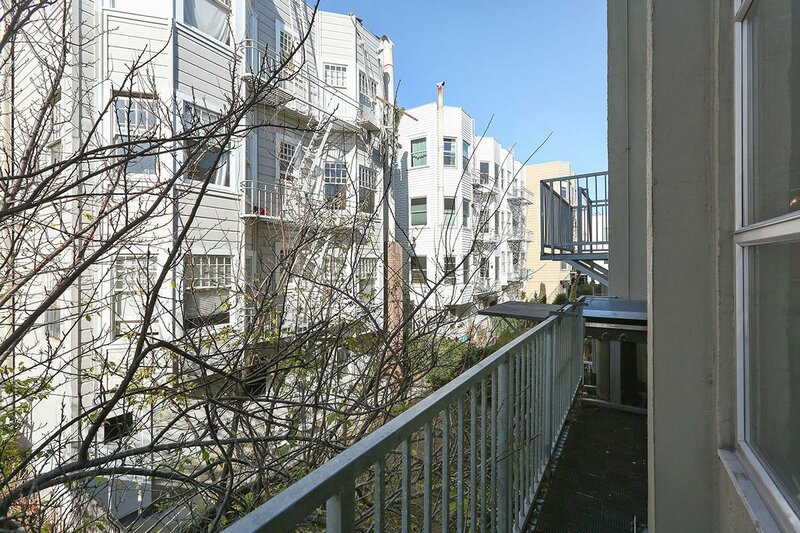 Commute to work from here is a breeze, just hop on the Octavia ramp, catch a shuttle or walk to Market Street/downtown.